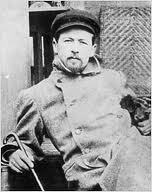 “Throw out your first three pages,” Russian playwright Anton Chekov advises writers. Writers are a romantic, emotional, and sentimental lot, and they love every single one of the pages they’ve written, but they tend to be most sentimental about the first three pages of their stories. Those pages are their babies, as beloved as any humans they happened to create. They’re the pages—more than any of the others—that were the most fun to write. They were the pages where their incredible idea—that magically turned into a story—was borne. They’re crap, says Chekov, and they’re boring, and they amount to nothing more than circumlocution. Circumlocution, for those, like me, who need to look up such a word, means using an excessively large number of words to express an idea. Chekov also advises writers to delete as many adjectives and adverbs as possible, for “art must be grabbed at once, instantaneously.” But Chekov’s most prominent editing advice for writers, regards deleting those first three pages. Writers will call this bit of advice Chekov’s razor, and it’s well known in writer communities that take the goal of attempting to achieve literary perfection seriously. If you have a friend that is a writer, and they have never heard about Chekov’s razor—and you’re feeling particularly nasty—let them know about this piece of advice, and you might be able to see a grown man cry. Writing a great story, one that pops off the page, is hard. If you call most writers to task, they will admit that very few of their stories pop off the page. It’s hard to do, and it doesn’t happen often for us. When it does happen, it’s our natural inclination to try to inform our readers of some of the process involved in that magical moment. It’s a selfish conceit we have to introduce our colorful cast characters that were borne entirely out of our imagination. We want you to see how brilliant we are, but more than that we want you to experience the joy of our creation in the manner we did in creating them, and we have a difficult time trying to separate ourselves from that joy of creation and perfecting the story for your enjoyment. We want you to feel the magic we felt in the process, because we loved the process, and if you ask us about our story we’ll probably concentrate our summary on those first three pages, because that’s where the twinkle in our eye was borne. Objectivity was the point Chekov was trying to assist writers in achieving with this timeless advice he offered. Objectivity that he presumably hoped would allow the creator the vantage point of viewing their material from the reader’s perspective. Objectivity in that it should be a writer’s goal to distance themselves from the story just a tad to make it more palatable to a greater audience. Writers, of all forms, attempt to send a message with their words. Their stories are snapshots of the their view of the world, but it can get muddled in the closed perspective of personalization, and the first three pages, says this logic, is where most of this personalization occurs. Take these pages out and you take out most of your personal entreaties into this world, and you’re more apt to leave a reader with the feeling that this story may apply to them too. We’re trying to figure out what’s going to happen in these first three pages. We trying to lay a foundation for a the story in these first three pages, and once we achieve that foundation we leap into an actual story world. That foundation is, more often than not, where most exposition occurs, because we’re trying to explain our story to us. If you’ve ever heard an experienced writer talk about the word exposition, you’ve usually heard them refer to it as the ‘E’ word, as if saying the full word aloud is equivalent to a Catholic saying the ‘F’ word in a cathedral. Exposition is basically explaining. Explain too much, or provide too much exposition, and we’ll get sad faces in the margins from our editors, our readers will yawn and mentally scream at you to get on with the action for the love of St. Pete, or they may not even read your story, because you’ve lost pace before you even started the story. To paraphrase Chekov there’s too much circumlocution going on in there. Have you ever read through your story and reached a point where you want to skip through parts? Chances are those parts contained too much exposition. Delete them now, says Chekov, before anyone else sees them…especially those instances that occur in the first three pages. You’ll have most of what you need to have in an interesting story—if it is an interesting story—figured out by page four. The first three pages were for you. The latter line is important to those creators in the process of creating, for in the process of creating you need to know what you’re doing with this story, who your characters are, what your setting is, and where you’re going. With that in mind, you may not want to delete these first three pages, until your story reaches the final stages. Once you’ve reached that point, you can use Chekov’s razor, then go back in and add the germane sentences of those first three pages throughout the body of the work, and it’s at that point that you’ll begin to see that most of the information for what it was. “Starting a story, we all tend to circle around, explain a lot of stuff, set things up that don’t need to be set up. Then we find our way and get going, and the story begins … very often just about on page 3.” — Ursula LeGuin. But the first three pages contains the thesis statement, you argue, that beautiful opening line that it took you a week to write properly, and the defining moment that crystallized who our character was going to be once this story got going. Sure, my story takes off on page four, but the reader has to know the backdrop before the takeoff. My story is the exception, you say, it just wouldn’t work without those first three pages. Most people think that their story is so exceptional that it is the exception to this rule, but if most people think this way isn’t it reasonable to think that we might be able to separate ourselves from the pack by not thinking we are the exception to the rule? It will break your heart, in the manner it broke your heart to dump the first lover that you liked a lot, but with whom you knew you had no future. You knew that lover did nothing to advance your life, and you knew the two of you were wasting each other’s time in the greater sense of the word, but you liked being around them. Once you dumped them, and you moved on, you realized that it was the best thing you ever did. If you think there’s any merit to Chekov’s advice, try cutting the first three pages and placing them in a new file. Once you’ve done that, try reading your novel without the first three pages, and you’ll find that you can place the germane material in the first three pages in a couple of sentences here and there throughout the body of the work. Doing so will show you the idea that Chekov was trying to get across with his advice, and you’ll learn the true definition of exposition, and your readers will thank you for your efforts. A short story would be an exception to the rule, of course, as some short stories are only three pages long. If this is the case, you may want to try deleting the first three paragraphs, or any sentences that introduce your readers to the essay, or non-fiction piece, you are creating. The important part of Chekov’s razor is that we delete the exposition that we have placed in the story to helps us understand what we’re trying to say in our artistic creation and get our readers straight into the story. Chekov’s razor is, in my opinion, intended to assist writers in the process of attempting to create entertaining material, regardless what it does to your love of the creation. It is also intended to provide the writer the tough love necessary to progress from a writer that loves to write to an author that readers love to read. It is heartless advice that doesn’t take our romantic, emotional and sentimental needs into account, but like a child that exhibits some discipline problems writers need tough love too. In the end, Chekov’s Razor may not work for your story. It may be that your story is, in fact, the exception to the rule, but is has proven to be very helpful advice for writers all along the aisle. ← Liberalism is dead! Long live liberalism?